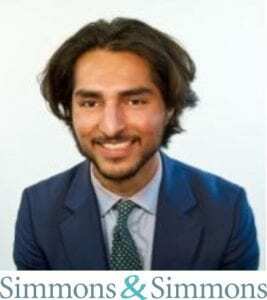 We caught up with Suleyman Siddiqui, a fourth seat trainee at Simmons & Simmons. 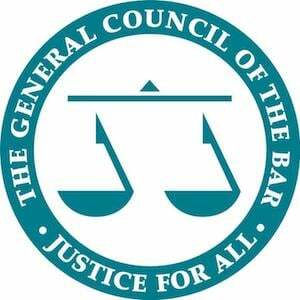 Suleyman discusses his top tips for training contract applications and interviews – as well as his Citizens Advice Bureau, vacation scheme and paralegal experiences. What influenced your decision to study and practise law? I read History as an undergraduate at UCL and in my third year I began to seriously consider law as a possible career choice. My decision was largely influenced by a presentation I attended which was hosted by a City firm. I was impressed by the presenter’s professional experiences as well as the fact that he worked with ambitious and intelligent colleagues. Would you recommend attending networking events? I would definitely recommend attending networking events and open days with different firms. Not only will this allow you to get to know the difference between firms and their different strategies but it will also help immensely when completing your application forms. Can you tell us a bit about your work experience and how it helped you with your applications? In the summer after graduation, I began searching for work experience; I found an opportunity with a Citizen’s Advice Bureau (“CAB”). Though this wasn’t, strictly speaking, my principal area of legal interest, I did learn an immense amount about client care, dealing with vulnerable people and working under pressure. I was then able to demonstrate my understanding of these skills in my applications, which combined with this insight in to the legal profession, was what I believe helped me secure a vacation scheme at a City law firm. During the scheme, I really enjoyed the fast paced nature of the job and the responsibility which was entrusted to me. Despite having not completed a GDL, I applied and was successful in obtaining several paralegal roles. These roles gave me practical experience and showed prospective firms that I was determined to become a solicitor. Do you think this practical experience helped you to secure a training contract at Simmons & Simmons? The skills that I developed as a result of my experiences above were helpful in securing a training contract at Simmons & Simmons; my interviewers were interested in the work I had done in the CAB and as a paralegal because it showed my commitment to law; they were also interested to know more about my personality and we spoke about my sporting and extracurricular interests. I was impressed by the holistic nature of the interview. What are your top tips for training contract and vacation scheme applications? During training contract and vacation scheme interviews, it’s important to remember that firms are looking to make a long term investment in you and they have to be sure that you’re someone who possesses the right skills and aptitude for self-development and growth as a lawyer. Although I had work experience, it’s not essential and that alone will not get you a training contract. It’s what you take from your experiences and how you apply those skills that interest firms. Be mindful of this when you are writing your applications and draw on examples from your personal and professional life to show evidence of the relevant skills you have developed that will allow you to become a successful lawyer. Simmons & Simmons is a leading international law firm with fully integrated teams working throughout Europe, the Middle East and Asia. Their vision is to continue to be a leading global law firm through their sector focus, which is underpinned by their ambition to provide their clients with high quality advice and deliver value through new ways of working. To find out more about the opportunities available at Simmons & Simmons, visit their website. You can also read more case studies on our website – click here for Simmons & Simmons trainees and here for Simmons & Simmons vacation scheme case studies.